It's true: it's not the most glorious of names. 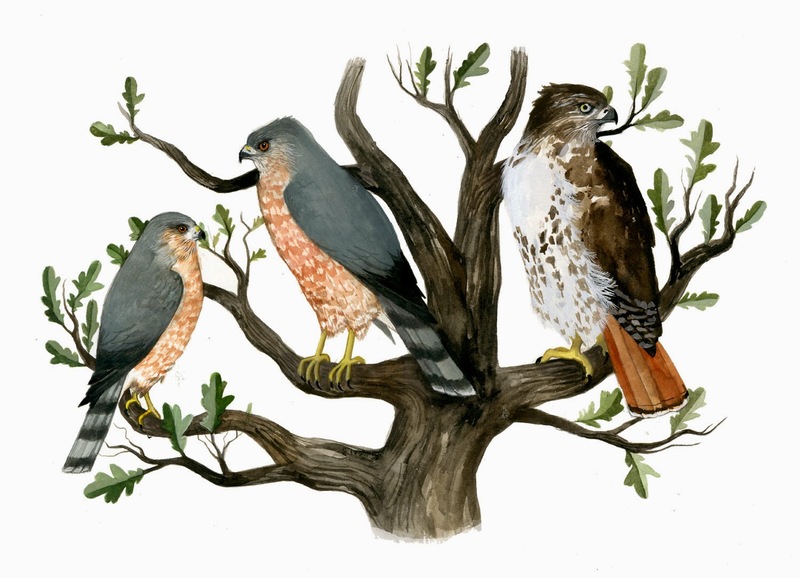 Cowbirds along with blackbirds, meadowlarks, and orioles, are in the family Icteridae. They are known as brood parasites: meaning they do not construct their own nests and raise their young, but leave that up to the host species and nest of which they have sneakishly layed their egg. The host species is oftentimes a smaller bird, such as a warbler. 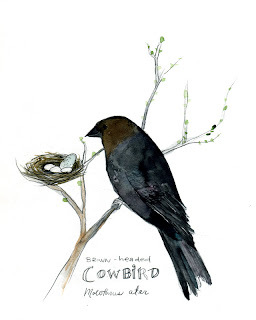 If cowbirds were human, they would definitely go the nanny route. Despite its parasitic ways, the cowbird has a beautiful irridescent sheen to it's "black" plummage.